NEW YORK -- If you learned your DNA made you more susceptible to getting a disease, wouldn't you work to stay healthy? You'd quit smoking, eat better, ramp up your exercise, or do whatever else it took to improve your odds of avoiding maladies like obesity, diabetes, heart disease or cancer, right? The scientific evidence says: Don't bet on it. DNA testing for disease risk has recently expanded in the U.S. 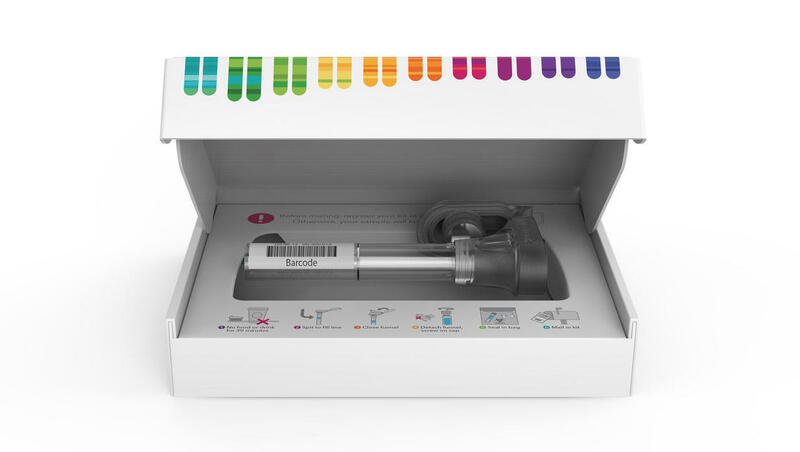 The company 23andMe recently started selling the nation's first approved direct-to-consumer DNA tests that evaluate the buyer's genetic risk for certain disease or conditions. That go-ahead came in April, about three years after it was told to stop selling such kits until it got the OK from regulators. The field also gained a new entrant in July, when a company called Helix launched an online marketplace for DNA tests, including some for genetic health risk. Helix decodes a consumer's DNA and passes the results along to another company for analysis. A request for the currently available health tests must be approved by a physician's group that reviews the customer's medical history. DNA tests for diseases typically assess genetic predisposition to getting sick. They don't provide absolute predictions about whether or not a disease will strike. Genetic risk is only part of a person's overall risk, which includes influence from other things like a person's lifestyle. While some disease are caused by a single malfunctioning gene, more common illnesses are influenced by multiple genes, and often each gene nudges a person's risk only slightly. A 23andMe test that includes ancestry and other information goes for $199. Helix's decoding costs $80, while the currently available health-risk analyses cost $150 and $125. Both companies use a saliva sample for the test. Last year, researchers published an analysis that combined 18 studies of people who got doctor-ordered DNA test results about disease risks. None involved direct-to-consumer tests; participants were drawn mostly from medical clinics or elsewhere. Eight of the 18 studies were done in the United States. The result? Getting the DNA information produced no significant effect on diet, physical activity, drinking alcohol, quitting smoking, sun protection or attendance at disease-screening programs. That fits with other results showing that, on balance, getting the information "has little if any impact on changing routine or habitual behaviors," said psychologist Theresa Marteau of Britain's Cambridge University, a study author. In an interview, Dr. James Lu, a co-founder of Helix, agreed that the evidence on whether people change their lifestyles in response to DNA information is mixed. But he said it's more likely if they get the right information, education and support. "We're learning a lot as the field evolves," Lu said. Marteau is not claiming that testing never changes behavior. She notes the example of Dr. Francis Collins, director of the U.S. National Institutes of Health. After DNA testing showed he was predisposed to Type 2 diabetes, which is more likely to develop if a person is overweight or obese, Collins shed 35 pounds (16 kilograms). "It was a kick in the pants," Collins explained. "It was an opportunity to wake up and say, maybe I'm not going to be immortal and maybe there are things I am doing to myself that aren't healthy that I ought to change." Dr. Robert C. Green of Brigham and Women's Hospital in Boston, whose research indicates DNA test results can change health behavior, said cases like Collins are just the point. It's very hard to get people to improve health habits, and even when they do, it's hard for researchers to prove that DNA test results were responsible, he said. So it's no surprise that evidence favoring an effect is limited, he said. "It doesn't necessarily mean that it doesn't help some people," said Green, who's also a scientific adviser to several companies involved in genetic testing. He and co-authors in May reported evidence that simply going through the process of DNA testing may slightly improve diet and exercise, regardless of what the results reveal. Maybe the experience serves to remind and motivate people about beneficial health behaviors, the authors said. Green also said that people seek such results for a number of reasons, including simple curiosity, so the value of DNA testing should not be judged simply by whether it changes health behavior. "I think people have a right to this information," he said.